Help customers experience the future: Digitalization, VR and interactive experiences show consumers benefits before they are on the road. Give customers enhanced levels of customization: Vehicle personalization transforms a product purchase into a multi-dimensional experience. Streamline product development processes: Innovation increases product diversity while reducing development time and costs. 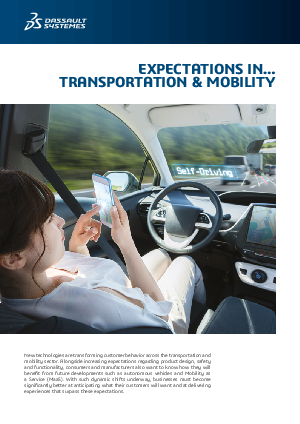 Stay current with new mobility solutions: Organizations must be open to change in imagining how to go from point A to B. Prepare for the shift to Mobility as a Service: MaaS is already affecting transportation and pressuring margins for conventional car manufacturers.